August is still very much peak season with large numbers of visitors from America and Europe dominating the northern safari circuit and Zanzibar. The weather is excellent at this time of year, although it can get a bit windy in August and wild fires are a common sight sweeping through the dry grasslands. Expect hazy conditions that detract from the scenic beauty, obscure the majesty of the landscapes, and make photography more challenging, but on the flipside the wildlife viewing is sensational. 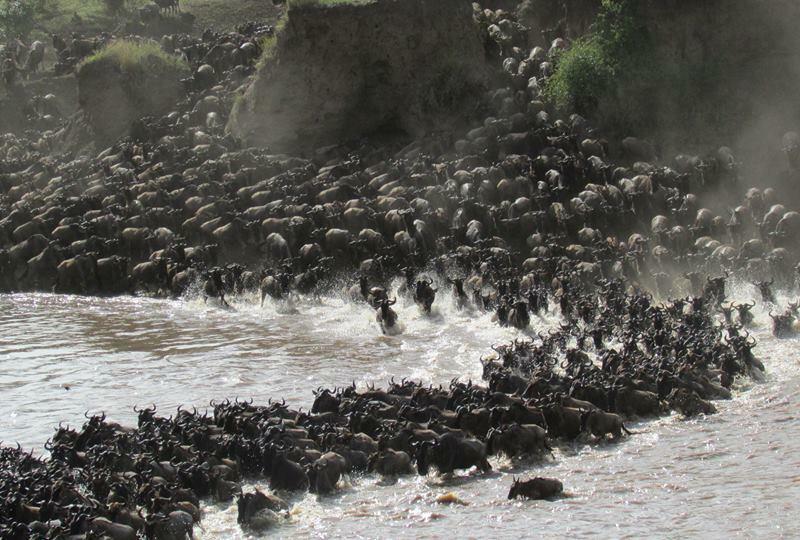 The migration has moved north by now into the Lamai region of the northern Serengeti as the wildebeest and zebra start to cross the Mara River. Tarangire National Park is excellent for spotting elephants who roam freely among the open plains.